Well, do you want to get rocked? The opening line to Def Leppard’s “Let’s Get Rocked” seems poignant for this particular article. There was a time when Rock and samples weren’t used in the same sentence. Samples in Rock have existed since the mid-80s; whispered about more than openly stated, and have grown in popularity at a similar rate to the accessibility of recording technology to the mainstream public. This article explores the range of rock drum samples on the market today. Whether you’re looking to retrigger a drum kit recorded in a limited environment, wanting to supplement individual drums to add weight or in need of loops for inspiration, listen and read below to find the pack for you. Below is a short list of the rock drum samples we talk about in this article. Scroll down for more details or click for audio demos. First up is Analog Snares from Modern Samples. 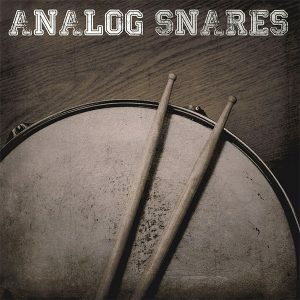 A collection of high-quality snare drum samples recorded and mixed through analog gear. This pack contains 11 different snare drums recorded in 3 different sonic environments. This versatility provides a wealth of different snare flavors and ambiances. Each sample has been individually mixed, incorporating drum machine layers, providing 440 colors, textures and variations to use in your productions. The 440 samples have been divided into 7 folders. Each folder represents a different texture. The ‘Clean’ folder contains the least processed samples. A blend of top and bottom snare microphones with light compression and EQ, ‘Clean’ is ideal for the producer wanting HQ, natural sounding snares they can shape themselves. ‘Dirty’ is a collection of snares recorded using a valve tube microphone, aggressively compressed during the mixing stage for more color. ‘Game Over’ snares are a blend of various microphone configurations, heavily processed. These samples also have drum machine samples blended in for maximum coloration and texture. ‘Layered’ takes the ‘Clean’ samples and blends drum machine sounds. This concoction of real snare and artificial give the snare serious spank to cut through a mix. ‘Punch and Click’ is a randomization of recording configurations, slammed through an analog compressor. This compression seriously shapes the transient, adding punch and click. ‘Rimshots’ are exactly that. If you need your snare to sound like the drummer is hitting it with an anvil, it’s this folder you need. Finally, ‘Textures’. ‘Textures’ is a combination of rooms, overheads, drum machines and percussion to bring a softer snare to your production. The attention to detail with this entire pack is evident at first listen. A superior snare collection for those looking to punch with those at the top. From the moment you audition your first snare from this pack, it’ll be evident what we like about it. Every single hit has something to say. Every snare has an attitude. Rock is such a vague description of an entire genre, yet this pack covers it all. Whether it’s the Led Zeppelin sound of the 60s, a furious 80s Metallica snare or a hybrid Imagine Dragons type of snare, this pack caters for all. I’m wary of saying much more. Visit the site, and hear for yourself. Simon Phillips. The man behind the kit for such Rock legends as The Who, Jeff Beck, Mick Jagger and Toto is now available inside of your Digital Audio Workstation. 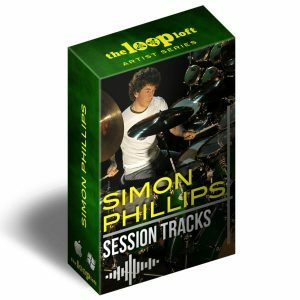 The Loop Loft’s collaboration with Simon Phillips brings 34 sessions worth of drum grooves straight to your hard drive! The drum sessions cover a wide range of tempos and styles within the Rock genre. Whether it’s Hard Rock or Blues, there’s a drum session within this collection for you to use! Every session is REX2 compatible, allowing you; the producer, to slice and sequence the parts as you deem fit. Altering the tempo is not a problem with this collection! Simon Phillips Session Tracks has been recorded with incredible quality, and the processing kept to a minimum. This minimal processing means you’re presented with raw Rock and Roll power that you can tweak to shape any Rock production. With grooves aptly labeled Verse, Chorus, Fills, etc. Sequencing a full drum track out of these grooves is a breeze. Just locate the groove that suits your track best, and drop it into your DAW’s timeline. As well as having access to a series of grooves, The Loop Loft has also included a bunch of single hits. Embellish the already fantastic sounding grooves with extra crash samples, or sequence your own grooves with your software sampler of choice! 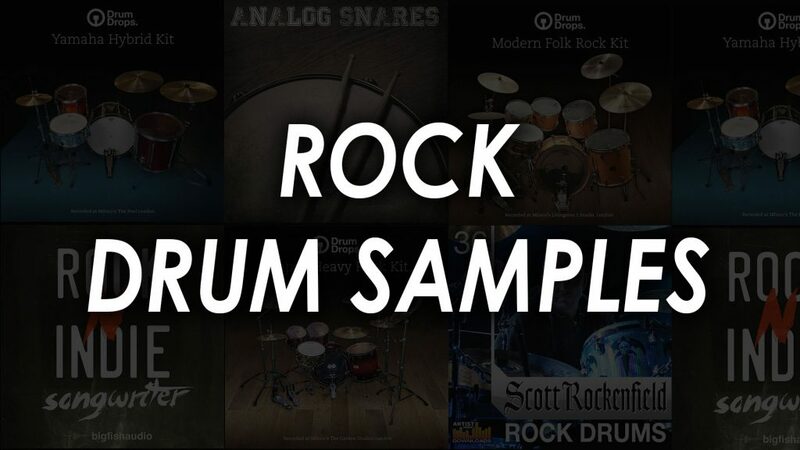 These rock drum kit samples ideal for the producer who wants their track to Rock, but hasn’t got a session drummer to do it and programming is out of the question. Having access to the feel of one of the world’s greatest Rock drummers is the stuff dreams are made of. 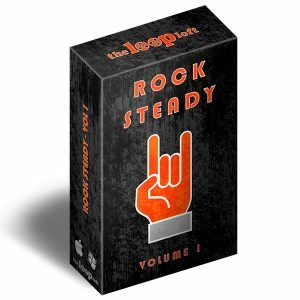 Rock Steady Vol. 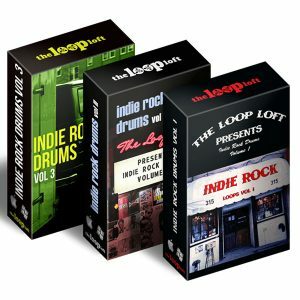 1 from The Loop Loft is a collection of drum loops that rock just as much as they roll. Made up of 9 recording sessions, this sample pack claims to have the widest range of Rock Drum grooves in any individual loops pack. Covering a wide range of styles from Classic Rock, to Power Pop and Indie. This is an ultimate collection of Rock drum grooves. Within this package, there are 112 individual loops, with tempos ranging from 90 to 162 beats per minute. A no-frills, indispensable, high-quality Rock drum library. The grooves are polished but to the point. This is not the pack for somebody looking for complicated flams and fills. This is a collection of inspirational drum grooves. In Rock, drums should motor on, and Rock Steady is one hell of an engine. Each loop in this collection has been recorded at high quality 48 kHz / 24 bit. Available in WAV, REX2, Stylus RMX and AIFF formats, Rock Steady is compatible with all Digital Audio Workstations and drum machines. The REX2 formatting will allow you to manipulate a groove further, through slicing and dicing, to fit your production correctly. If you’re a songwriter in need of drums that do exactly what they need to, this is the collection for you. A quality set of loops that gets straight to the point. Just great Rock sounds and great Rock grooves. These loops aren’t busy and have high energy/motion to them making them the perfect accompaniment to the Rock songwriter looking to add drums to their demos. Rock Steady in name and nature. If you are a fan of sounds coming out of The Loop Loft, you won’t be disappointed with this offering. Indie Rock Bundle combines all three Indie Rock volumes available into one massive library, bringing authentic Indie Rock and Roll to your DAW. Most DAWs come with a host of free loops, and boy do they sound lame. If you’re sick of lame sounding loops, then this collection is ready to dig you out of that hole. With sounds and grooves influenced by the likes of The Strokes, The Flaming Lips, and Fugazi, get ready to transform your loops collection with this bundle. 758 loops and 214 samples make up this entire pack, with tempos ranging from 80 – 200 beats per minute, you have plenty of Indie Rock bases covered. As expected with The Loop Loft products, each sound has been recorded in high quality 48 kHz / 24 bit. Formatted as WAV, REX2, Stylus RMX and AIFF formats, you’re able to use these loops with all DAWs and samplers. The titling of the loops should be evident in which style they’re aiming for, both in sound and groove. Having access to one-shots as well as loops is useful. Whether you need to retrigger your boring snare with a Death Cab For Cutie style snare sample or want to add a White Stripes groove, this bundle has it all. These loops are perfect for injecting life and feel to statically sequenced beats. Whether you need to bash out a quick demo or want to make a fully-fledged production, you’re able to with the choices available to you within this collection. One of the packs greatest features are the tom grooves. Indie Rock and tom grooves go together like peanut butter and jelly, yet it’s rare you find loops built around toms from similar packages. Having them available in Indie Rock is warmly welcomed! Progressive Rockers can often struggle to find loops and samples to suit their genre. The sheer complexity of the music and instruments (have you seen the size of Neil Peart’s kit?) make it a much less attractive area of the market for manufacturers. Luckily for you us, Loop Masters have created Scott Rockenfield Rock Drums. Scott Rockenfield is considered one of the most accurate drummers in the business, and the proof is in the pudding with his INCREDIBLE work with Queensrÿche. This rock drum sample pack provides Scott Rockenfield’s signature sound in readily available loops. His inventive playing style ranges from subtle to aggressive. A collection of 60 stereo loops ranging in tempo from 130 – 183 beats per minute, as well as 165 multi-track loops. The multi-track loops give you full flexibility in balancing the individual components of the drum tracks, to craft the sound that suits your project. There are also 76 one-shots available too! All drum loops are REX2 formatted, making editing a breeze. As well as loops and one-shots, Loop Masters have also provided 10 software sampler patches. These patches are compatible with NNXT, Halion, Kontakt, SFZ, and EXS24. Having access to software sampler patches for these drums allows the programmer producer to craft their own beats, with Scott’s sound. Hard Rock is poorly represented in the loops market, with many people gravitating more toward using Virtual Instruments to program their drums. 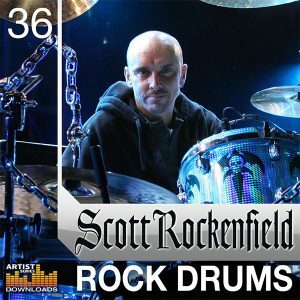 Scott Rockenfield Rock Drums brings you one of Hard Rock’s greatest drummers, straight to your DAW, for you to drag and drop the grooves that inspire you. Not only that, but they sound great and being able to rebalance the multi-track loops to suit your taste sets my praise for this pack even higher. If you’re writing or producing the harder spectrum of Rock, this collection of loops and one-shots is ideal. Natural sounding Folk-Rock drums with samples sounds a little oxymoronic, doesn’t it? What if I told you there was a collection of Folk-Rock drums recorded by one of the best recording engineers in the business and one of the best Folk-Rock drummers, too? I thought so. 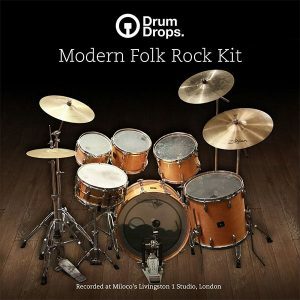 DrumDrops’ Modern Folk Rock Kit is a whopping collection; if you buy the multi-sample pack, of 2861 samples recorded by Phill Brown (Laura Marling, John Martyn, The Rolling Stones), played by Martyn Baker (Rufus Wainwright, Richard Hawley, Katherine Williams). Unlike other drum packs, this collection has been sampled using sticks, hotrods, and brushes, presenting the ultimate Folk-Rock drum experience. The Modern Folk Rock Kit is a multi-mic’d 80s Gretch Kit, though DrumDrops also captured shaker and tambourine. The ‘Multi-Sample’ pack provides up to 24 velocity steps of each articulation, offering a phenomenal level of realism. The ‘Multi-Sample’ pack also comes with a host of software sampler patches, allowing you to program beats via MIDI with the included 700 MIDI grooves. If you’re not interested in the flexibility of the ‘Multi-Sample’ pack, there is also the ‘Single Hits’ pack with 3 different velocity layers, so if you don’t have a wealth of velocity articulation, this pack is great. If you’re just looking for Folk Rock one-shots, there is also the ‘One Shot Sample’ pack. Bigger isn’t always better, but with Modern Folk Rock Kit we’re grateful. The sheer size of this collection is staggering. Having access to almost 3000 samples recorded by one of the best engineers in the business is producer’s gold mine. Any producer creating Ray Lamontagne, Elliot Smith or Bon Iver styled tracks would set themselves off on a great start with this collection. Professional, but still raw enough to allow you to shape the samples to your aesthetic. Sometimes sample libraries are a little too niche. You’re a producer working in a wide range of sub-genres, but instead of having a single collection to pick from, you end up with 6 or 7 smaller libraries. Big Fish Audio have recognized this gap and bring Rock N Indie Songwriter to the table. Covering Pop Rock, Indie and Modern Rock, this sample library will help you to compete with Fall Out Boy, Imagine Dragons, U2, Muse, Paramore, Coldplay and more. Unlike the other sample packs in this article, this collection is not drums only, however, for this piece of content, I’ll focus on the drums. 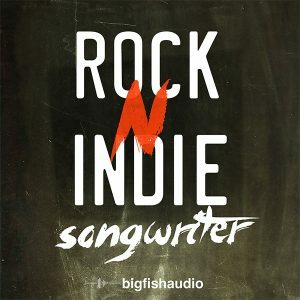 Rock N Indie Songwriter contains 179 individual audio files, compatible with all Digital Audio Workstations and drum computers. The drum grooves included add an authentic pulse and feel that will help transform your static tracks. The drums within this collection are available as individual channels, allowing you to remix the grooves to whatever style you desire. Need more kick? No problem, turn it up! Want to add a spring reverb to the snare? No problem, insert the plug-in and away you go! The drums are also Kontakt compatible for those who prefer triggering via MIDI. This collection is ideal for any producer looking to inject that Indie Rock bounce to their productions. If you love the sound of drums in Rock, you no doubt like the sound of a Mapex drum kit! To record this collection a Mapex Saturn Kit was used along with 3 different snares including the heralded Black Panther Hammered Series snare. This package also includes three crash cymbals, a china crash and a ride cymbal. Each component of the drum kit has been recorded at 16 different velocity levels; exclusive to the ‘Multi-Sample’ pack, and multiple articulations for realism. Each hit was recorded at The Garden Studios; responsible for recording many great drum sounds throughout the years from the likes of The Cure and The Arctic Monkeys, through a vintage Neve console. The detail that has gone into this collection is evident, and I am fond of the tone of each component. The packages most defining feature is the MIDI loops included in the ‘Multi-Sample’ pack. Having access to 500 MIDI grooves played by one of the genres best drummers; Martyn Ford, brings an authentic Heavy Rock sound to your track, both from the drums and drummer. These MIDI grooves can be triggered by any of the included patches; such as Battery, to combine the sound of the drummer with the sound of these excellent drums, though can also be retriggered with other Virtual Instruments. The ‘Single Hits’ pack offers similar to that of the ‘Multi-Sample’ pack, but with 3 velocity layers instead of 16. For those in need of one-shots, there is also a ‘One-Shots’ pack. This collection is perfect for those working in the harder Rock genres. As mentioned in a previous Hard Rock drum sample collection, the heavier genres tend to favor programming drums with Virtual Instruments than using loops. With Mapex Heavy Rock Kit you get Bullet For My Valentine’s drum kit, captured impeccably and presented in a range of formats including as a Battery preset. All of a sudden you can combine a realistic Hard Rock drum sound with MIDI to program a machine accurate drum part capable of melting faces. 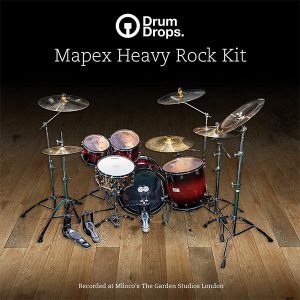 The fusion of the loop and sample based world, with the MIDI programming world, makes Mapex Heavy Rock Kit a unique player in the heavier Rock drum libraries. 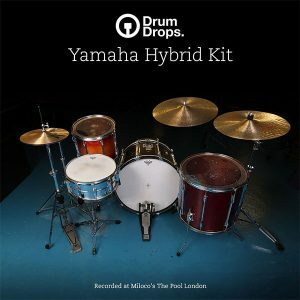 Drum Drops’ Yamaha Hybrid Kit is a pack of recorded sounds from producer Ben Hillier’s drum kit. Ben’s kit is made up of a combination of different Yamaha drums to provide this truly outstanding library. Heard on countless hit records and recorded at Miloco’s Pool Studio, this sample collection is full of sounds suitable for deep rock, ballads, and pop. The unique selling point for this collection is the snare drum. Anybody who knows anything about snare drums knows about the Ludwig Supraphonic 402. The Supraphonic is the sound of Led Zeppelin. Think bright, crisp, cutting and phat. The real king of the snares, and worth the investment alone. The drum components captured for this pack are kick, snare, rack tom, floor tom, ride and two crash cymbals. Perhaps the only downside to this collection is the lack of options. Alike the previously reviewed Drum Drops packages, this collection comes with 500 MIDI loops to experiment with, as well as being available in ‘Multi-Sample’, ‘Single Hits’ and ‘One-Shot’ configurations. This pack is perfect for producers working in the alternative rock space that may need to flirt between Indie, Folk and Pop. Did I mention the Ludwig Supraphonic 402 samples? Just like guitarists fetishize over early Fender Stratocasters, or the Hip Hop guys fetishizing a real TR-808, the Supraphonic snare is the ultimate turn on for drummers. John Bonham’s drum sound is one of the most popular in recorded history, and what’s at the center? The Supraphonic snare. Add a legend to your sample library with Yamaha Hybrid Kit. So, we started with a Def Leppard lyric, and we’re ending with another from the same song. Rock is about as descriptive to the genre as Pop is. The range of styles and sub-genres explored within this article should provide you with enough scope to cover most bases. I love the timbral differences between the Analog Snares. I love that there are packs available where you can transport some of the genres best-loved drummers straight into your DAW. I love the availability of MIDI grooves that can be edited and retriggered to however you desire. Having this much flexibility can be a blessing and a curse, but one thing is for sure: the quality of drum samples available in Rock drumming today is superb. Once a dirty word in Rock, samples have become a reliant feature to help the snare hit you in the face, or the kick to punch your gut. Sit back, flick through the audio examples and find your next punchy pack.